USPA NEWS - Telemundo Deportes, the Exclusive Spanish-language home of the 2018 FIFA World Cup Russia, announced on July 2, it is adding to its World-Class Sports Content Portfolio the Exclusive Spanish-Language U.S. Media Rights to the 2019 Copa America to be held in Brazil. The 2019 Copa America will be the 46th Edition of the Quadrennial International Men's Soccer Championship organized by South America's Soccer ruling body CONMEBOL. Copa America is the Oldest International Continental Soccer Competition and it determines the Continental Champion of South America. Telemundo Deportes, the Exclusive Spanish-language home of the 2018 FIFA World Cup Russia, announced on July 2, it is adding to its World-Class Sports Content Portfolio the Exclusive Spanish-Language U.S. Media Rights to the 2019 Copa America to be held in Brazil. The 2019 Copa America will be the 46th Edition of the Quadrennial International Men's Soccer Championship organized by South America's Soccer ruling body CONMEBOL. Copa America is the Oldest International Continental Soccer Competition and it determines the Continental Champion of South America. Telemundo Deportes is the Exclusive Spanish-language Home of the 2018 FIFA World Cup Russia, offering more than 1,500 Hours of World Cup Coverage from Russia across all Platforms, including the Live Streaming of all 64 World Cup Russia Games. Having recently completed the Group Stage, Telemundo Deportes' Broadcast of the 2018 FIFA World Cup has reached more than 30 million Viewers and positioned Telemundo as the #1 Spanish Language TV Networks in Total Day since the Beginning of the Tournament. To date, Telemundo Deportes' Digital World Cup Presentation has accounted for the Four Most Livestreamed Events in Spanish-Language History and has streamed more than 1.6 Billion Minutes. Telemundo Deportes, one of the Leading Providers of Sports Content in Spanish in the United States, is Home to Two of the World's Most Popular Sporting Events : the FIFA World Cup through 2026 and the Summer Olympic Games through 2032. In addition, Telemundo Deportes broadcasts the Premier League and FIFA World Cup CONCACAF Qualifying Matches for Most of the Region, including the Mexico and USA National Teams' Away Matches. 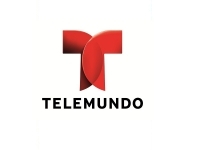 Telemundo Deportes is also Home to "Titulares y Más," the #1 Sports News, Entertainment and Commentary Show in Spanish and "Boxeo Telemundo Ford," the #1 Boxing Program in Spanish, among other recognized Sports Properties. The South American Football Confederation (CONMEBOL) is the Continental Governing Body of Football Associations in South America and one of FIFA's Six Continental Confederations. The Oldest Continental Confederation in the World, its Headquarters is located in Luque, Paraguay, near Asunción. Founded on July 9, 1916, in Buenos Aires, it is comprised of Ten-Member Countries : Argentina, Bolivia, Brazil, Chile, Colombia, Ecuador, Paraguay, Peru, Uruguay and Venezuela. The Confederation is responsible for the Development, Organization and Governance of South American Football's Major Tournaments. CONMEBOL National Teams have won 9 FIFA World Cups and Clubs have won 22 Intercontinental Cups and 4 FIFA Club World Cups.